Born Chester, Pennsylvania, January 11, 1961; admitted to bar, 1989, New York; 1994, North Carolina, U.S. District Court, Eastern District of North Carolina, U.S. Court of Appeals, 4th Circuit. Education: University of North Carolina at Chapel Hill (B.S. 1983; J.D. 1989). Articles Editor, North Carolina Law Review. Order of the Coif. Member: New Hanover County and North Carolina Bar Associations; the North Carolina State Bar. Practice Areas: Estate Planning and Administration; Wills, Trusts, Living Wills (Declarations of Desire For Natural Death, Advance Directives), Health Care Powers of Attorney, Powers of Attorney, Probate, Administration of Estates; Corporate Law; Intellectual Property. 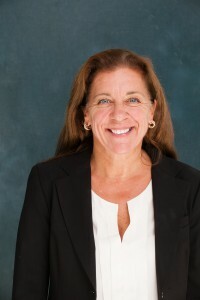 Patti Jenkins has worked with Hogue Hill, LLP since 1993, both as an associate and as a contract attorney, currently practicing in the areas of estate planning and administration, corporate and intellectual property law. Patti counsels clients on estate plans; drafting wills, trusts and powers of attorney. Her corporate law practice includes advising for-profit and non-profit clients on business matters regarding entity formation, tax and governance issues and drafting and negotiating organizational documents, employment and confidentiality agreements. Patti’s intellectual property experience includes advising clients on the creation, protection, licensing and other transfers of intellectual property rights. Prior to working at Hogue Hill, Patti was an associate at Rogers and Wells in New York City, where she had a corporate transactional and intellectual property practice which included representing clients regarding stock and asset purchases and joint ventures, drafting and negotiating software development, licensing and maintenance agreements, publishing contracts and patent and trademark licensing agreements. Before attending law school, Patti was a personal trust officer with Wachovia Bank, where she counseled clients on investment and tax strategies and developed estate and financial plans. Patti earned her B.S. (1983) and J.D. (1989) degrees at the University of North Carolina at Chapel Hill, where she was Articles Editor of the Law Review and a member of Order of the Coif. She is licensed to practice in New York and North Carolina and is a member of the Intellectual Property and Estate Planning and Fiduciary Law Sections of the North Carolina Bar Association. Patti is a trustee and Chair of the Champion McDowell Davis Charitable Foundation and has served on the boards of the Cameron Art Museum, the Cape Fear Chapter of the American Red Cross and Historic Wilmington Foundation, and on the Vestry and as Junior Warden of St. James Episcopal Church. She has represented artists and writers through her pro bono work with Volunteer Lawyers for the Arts. Patricia C. Jenkins was elected by peers to the Business North Carolina Legal Elite in 2016 in the Tax and Estate Planning category.